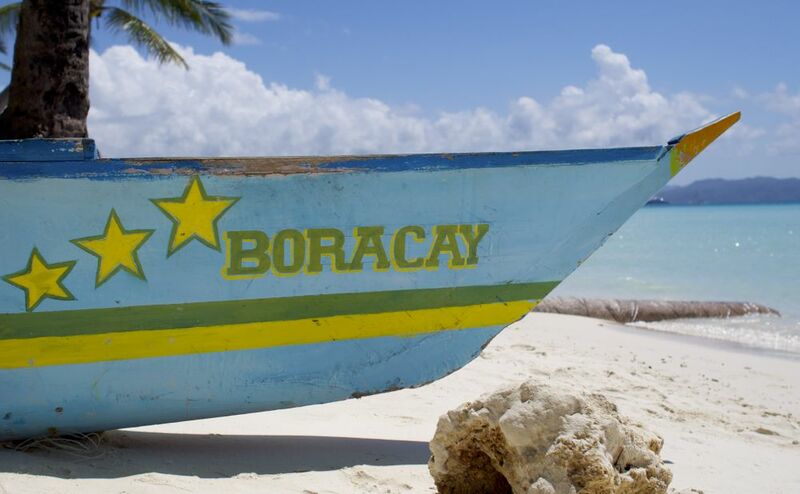 Everyone we talked to with knowledge of the Philippines told us Boracay was a must-see. Lauren even heard how great it was from a Filipino lady in line at FedEx in Las Vegas. 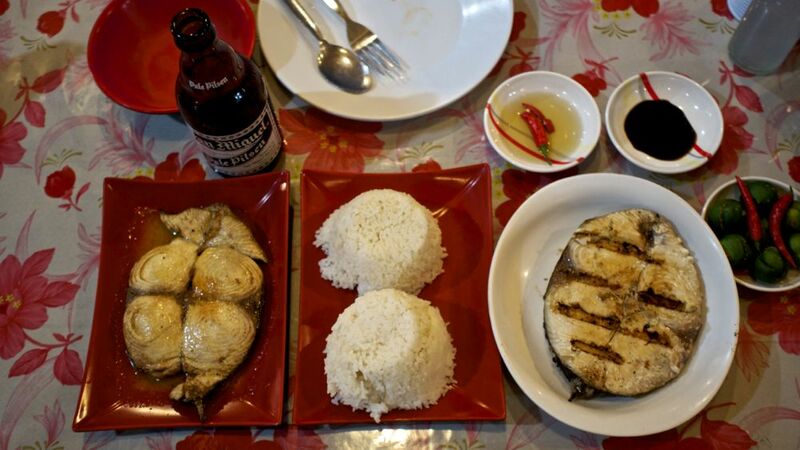 From Leyte, it was just a ferry ride, a plane, and another ferry ride away. 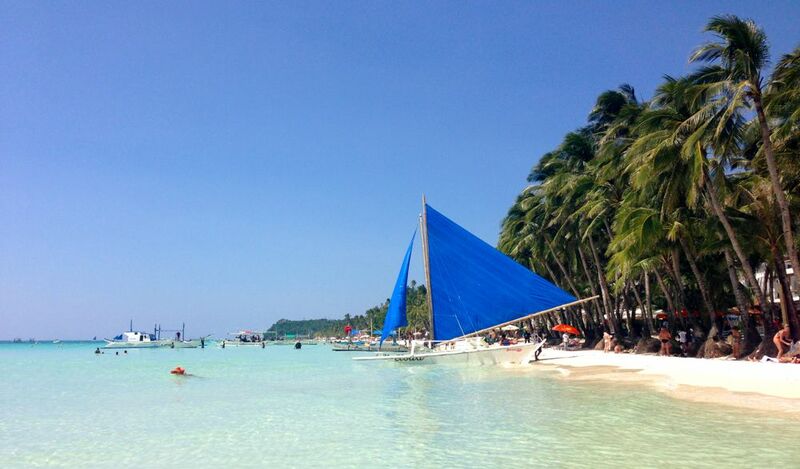 Boracay is an island in the Visayas region of the Philippines with white sand and crystal clear water. 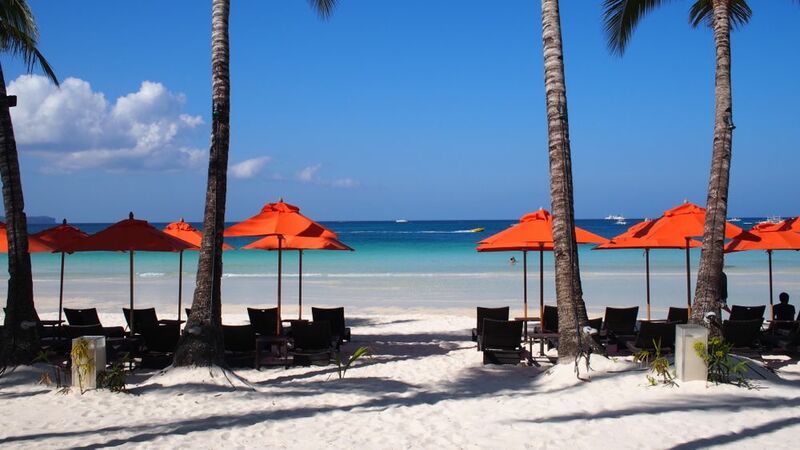 The main beach, White Beach, is a long stretch of sand packed with restaurants and resorts. It was hard to have a conversation while walking down the beach path because vendors were always trying to lure you in and sell something. We spent a week enjoying the postcard-perfect views while constantly being offered sun glasses, hats, massages, hair braids, and sail boat rides. 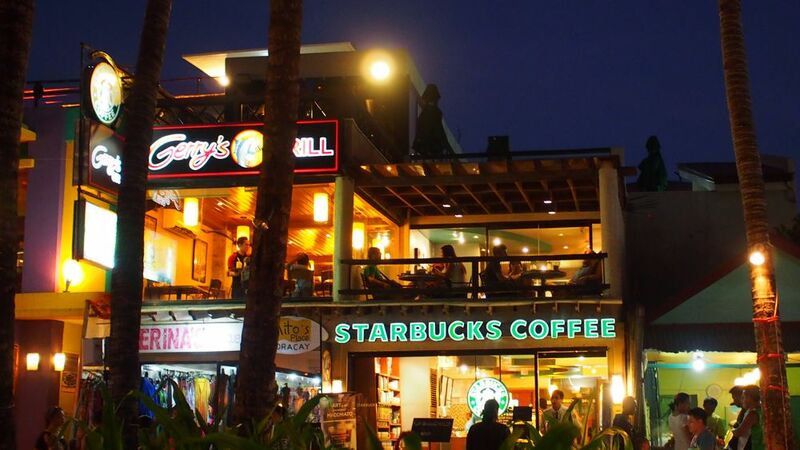 White Beach has so many people even Starbucks wants in on the tourist dollars. 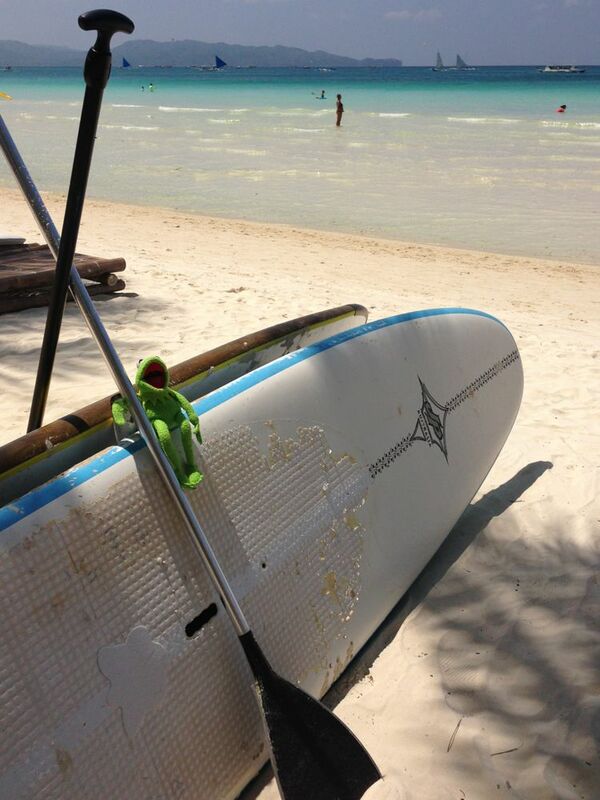 Kermit enjoys stand up paddle boarding too. We walked to the northern end of the island to the restaurant Spider House, which overlooks Diniwid Beach. The view was spectacular, and with comfy loungers, wifi, a ladder down to the water, and tasty drinks we spent a lot of time here just taking it in. Lauren on the platform at the Spider House. 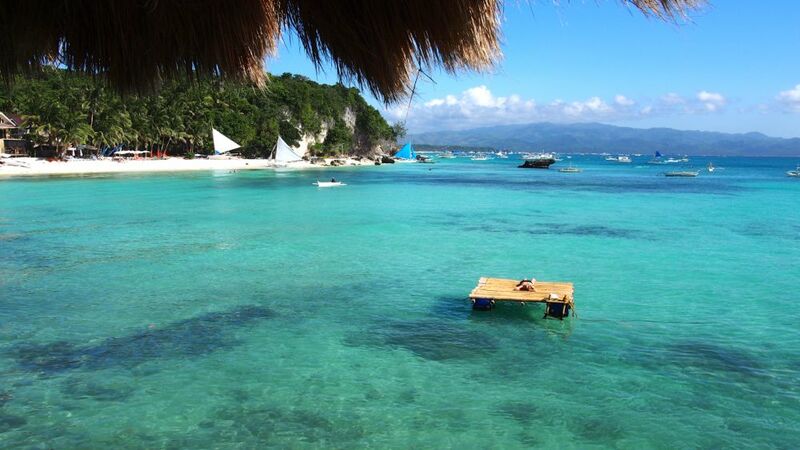 Another refuge from the busy White Beach is Puka Shell Beach. 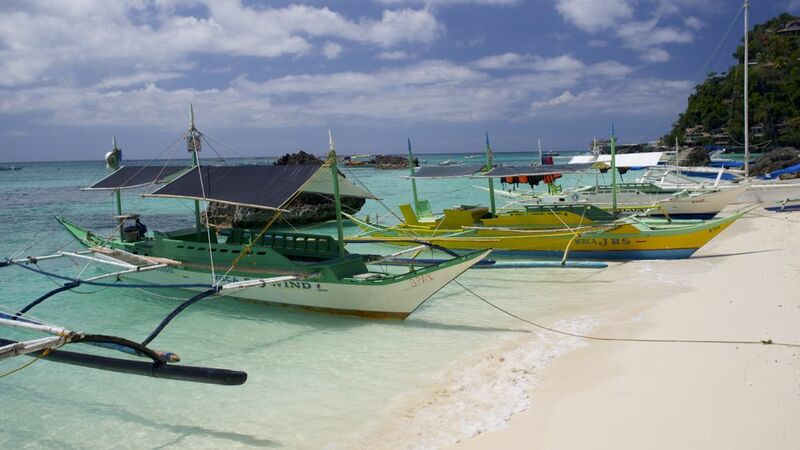 We hopped onto Boracay's version of a taxi (a sidecar welded to a street bike) to get there, and the difference between Puka and White beach is night and day. At White Beach, you are bombarded with vendors and have to step over people to get to the water, while at Puka we had practically the entire beach to ourselves. 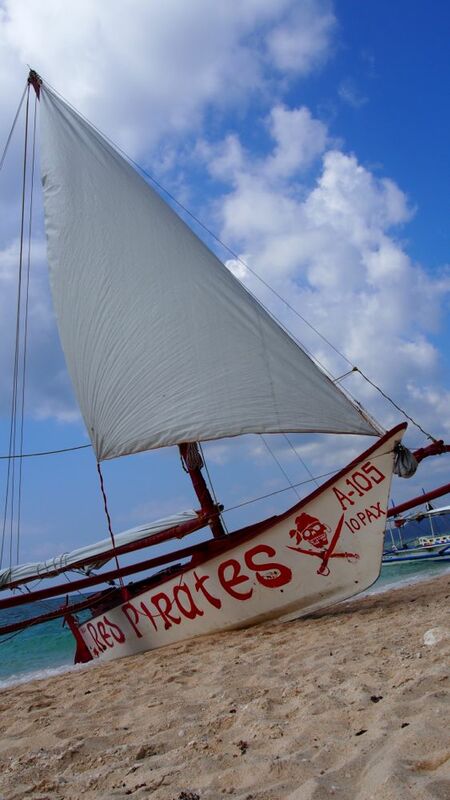 Pirates like to sail to Puka Shell Beach. 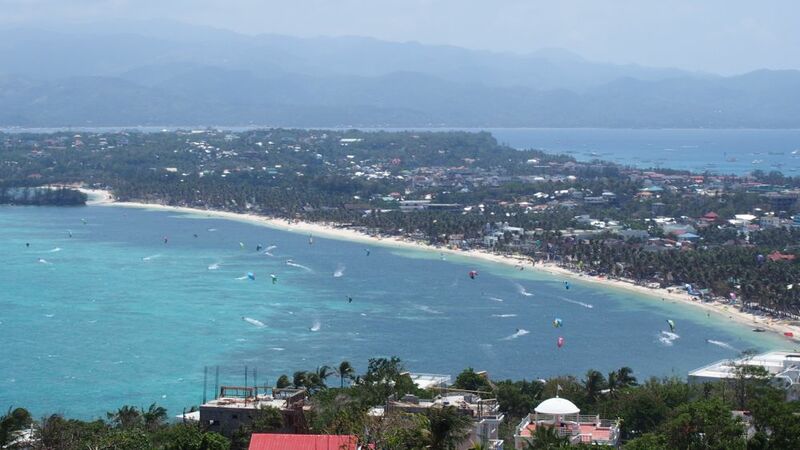 Another break from White Beach can be had at the kite boarding beach on the opposite side of the island. I really wanted to try kite boarding but didn't want to commit to a three-day course that was required before they would even let you on a board with a kite. I'll have to do it some other day I suppose. 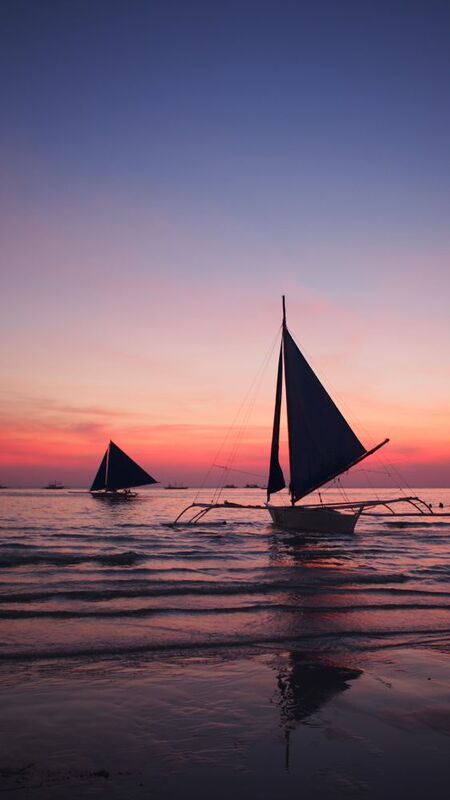 The sunsets in Boracay are a popular event. 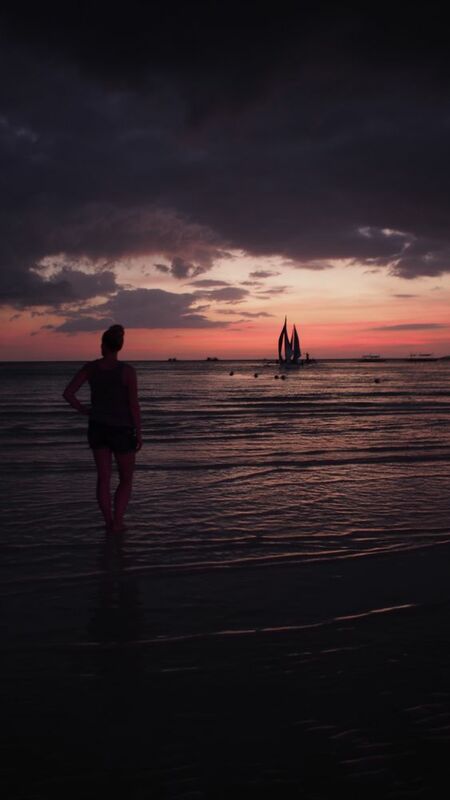 It seems everyone on the island comes out to White Beach to say goodnight. 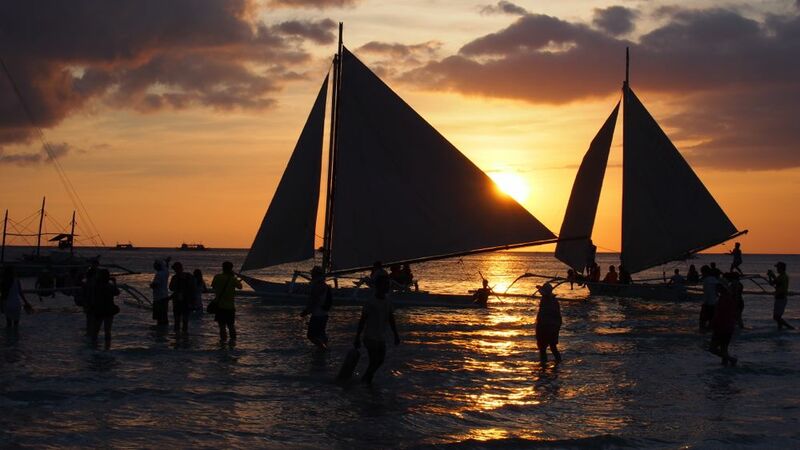 Pawraw boats start heading to shore in the late afternoon to pick up travelers for a sunset sail and again, you can't walk down the beach without being offered a boat ride, and if not tonight, "maybe tomorrow?" they hope. 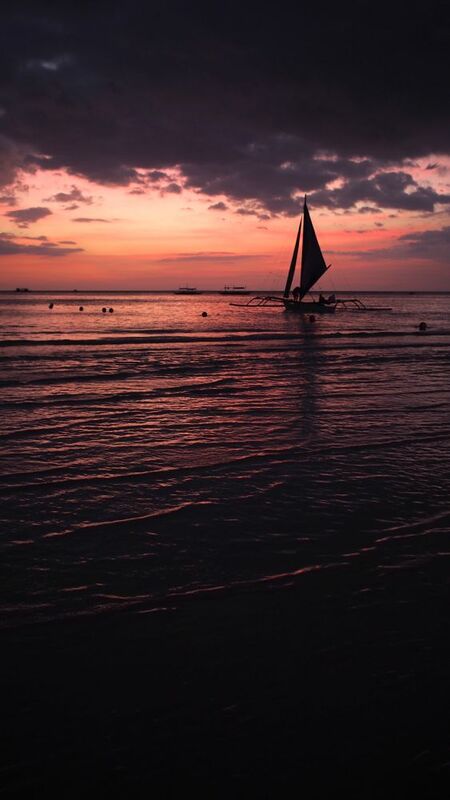 We opted to just enjoy the sunset from the shore. 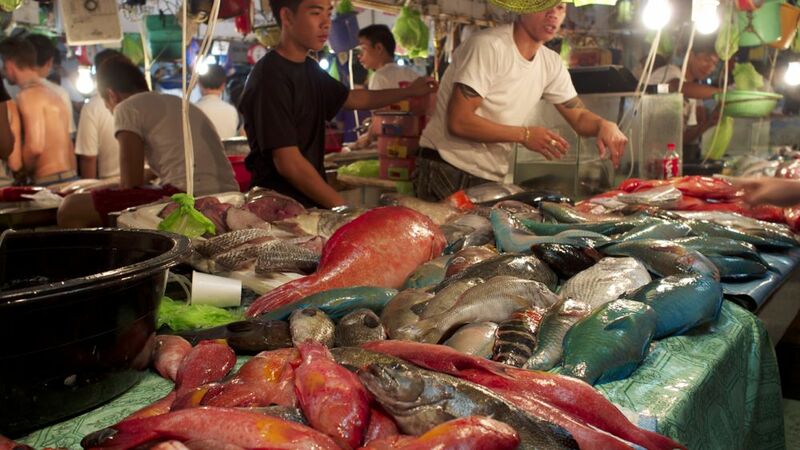 One night we headed out to explore D'Talipapa, a "wet market" or open-air fish and meat market where the day's catch is waiting to be dinner. 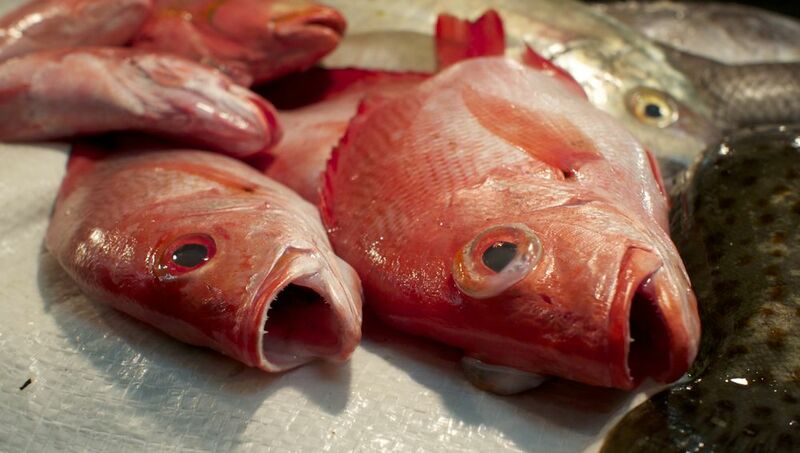 We had heard that you can buy fish there and then take it to a restaurant and have them cook to your liking. We didn't realize that those restaurants were about 10 feet from where you buy the fish. 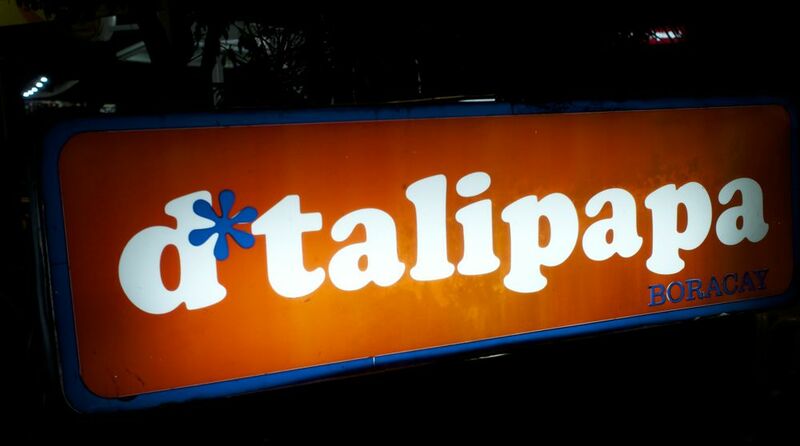 We thought we'd just take a look around, but after we entered and saw the chaotic process we just had to buy something. Rows and rows of shiny fish gazed out as people jostled to make their purchases. Fish as big as your arm were plopped onto waiting grills. We got two pieces of marlin and had one grilled and one pan fried. 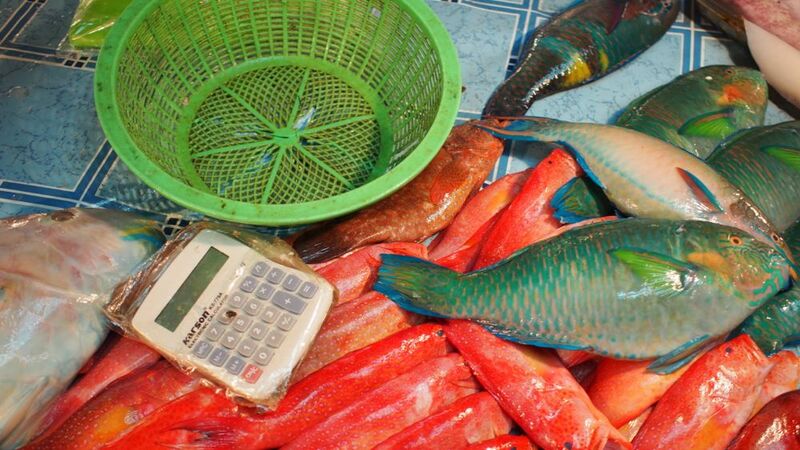 How to buy fish: point to what you want, it gets put in the basket and weighed, then a price is shown on the calculator. Then begin bargaining. Take the calculator and enter a lower number until a price is agreed upon. but the spicy sauces added a nice kick.